Jumping into a new semester — or for freshmen and transfer students, a whole new school — involves a bundle of emotions. Some students are eager to learn and get involved, while some don’t even know where to start. The beginning of the semester means new opportunities everywhere including the Job and Internship Fair and the Involvement Fair. I’ve had freshmen ask me for advice while helping out with orientation this summer. As a sophomore, I always emphasize getting involved and going to these two fairs. After one year on campus, I have become a UGC Fellow, an assistant editor for The Statesman’s Opinions section and a sorority member (let all the stereotypes run through your head now). All three have helped me grow in different ways. But out of all three, I never would have thought I would be involved in Greek life. As of 2018, there are 16 social fraternities, 13 social sororities and seven professional Greek organizations at SBU. Our Greek life is small compared to other similar colleges — Penn State alone has 56 fraternities, and fellow SUNY school Binghamton University has 34 fraternities, the largest of all the SUNYs. There are many different reasons people might join Greek life. Some join for the connections; some because they want that idea of brother or sisterhood; some want to expand their social circle. “My best friends growing up were a group of guys who went to a separate all boys school, so I never really had those close girl friends everyone needs. 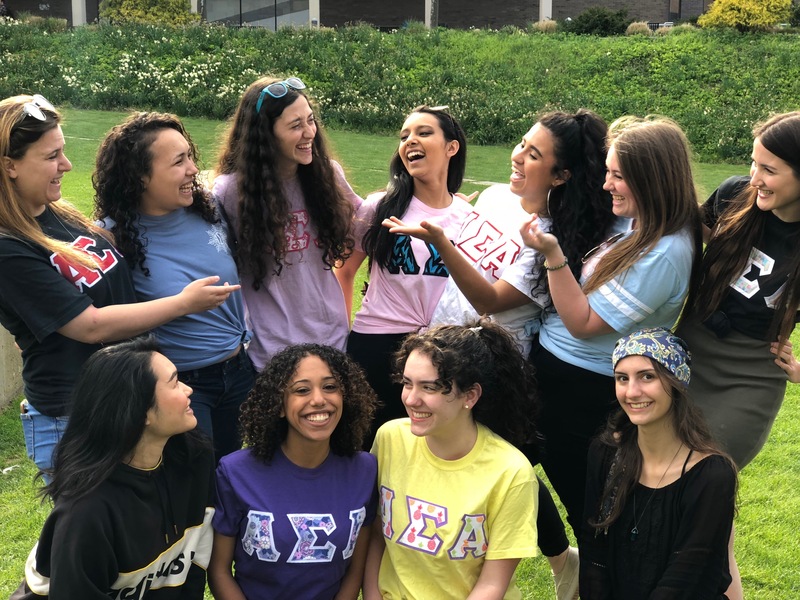 But after joining, I met some of the most important girls in my life,” sophomore marine biology major, Sarah Whelan, said when she was asked why she joined Greek life. There are some stragglers like myself who love to get involved, but never pictured being in Greek life. I was going to attend the University of Florida before I came here, which has almost double the amount of Greek organizations as Stony Brook. I probably wouldn’t have joined any of them because of the hundreds of people involved in one frat or sorority. The sorority I am a member of here has a little over 40 active members. Because of the relatively small amount of ladies, I get to know everyone in the sisterhood instead of being in a pool of hundreds of girls where many might not even know my face. I became a new member of Greek life this past spring semester. Why was I first hesitant? I felt I had a solid group of friends that I met on my own and I already knew I was going to be a fellow. I felt I didn’t really need to get involved in a “cliché” of the college experience. I do have that urge however, to always be keeping busy. I had a few of my friends and upperclassmen telling me to join Greek life as well. After participating in formal recruitment in the spring, I got to meet different sororities and narrow down which one I felt the most comfortable being a part of. Formal recruitment includes a week of events where you get to meet the NPC (National Panhellenic Conference)-affiliated sororities at Stony Brook and learn about their sisterhood values and philanthropies. Looking back at my emotions during formal recruitment until now, I couldn’t be happier that I made the decision to get involved in the Greek life community. Yes, I love my sisters and am really proud to be associated with a successful and beautiful group of women and I know that sounds super cliché, but it is the truth. If you’re looking to get involved, or just to make new friends and meet new people, go to the involvement fair. Meet some organizations. Greek life is the best life!